Have you ever wondered about four-wheelers that could run on solar energy? If you haven't, then here is an exciting piece of news for you. SolarMobil - a team of 27 enthusiastic engineers from Manipal University - have built a two-seater solar-powered car that can cruise up to 120Km/h. The team will represent India at the 2014 South African Solar Challenge (SASOL14). Their first offering, a single seater race car, was introduced in 2011. The team is now back with another car after working meticulously for three consecutive years. 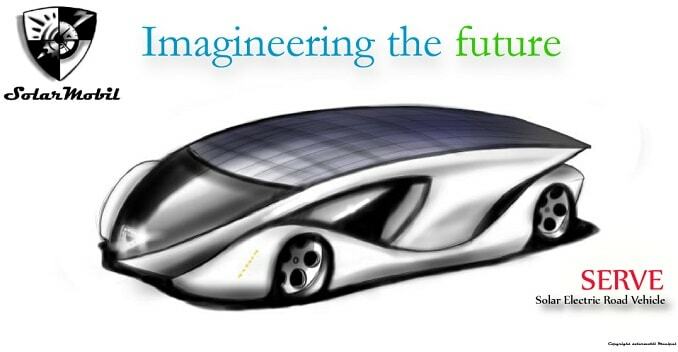 SolarMobil's second solar car features an urbane architecture that endows the car with scope for commercial use. Dubbed Solar Electric Road Vehicle (SERVe), it is a two-seater that can achieve a cruising speed of up to 120Km/h, and 60Km/h when powered by only solar panels. It took SolarMobil 15 months to zero in on the final design for the SERVe. However, they are still in the process of giving the body a final touch in order to give it a rather aerodynamic look. Post this, the team will begin final testing, calibration and data acquisition. After completing the final procedure, SolarMobil will participate in the 2014 South African Solar Challenge (SASOL14) , an international race event organised exclusively for cars that run on solar energy. The challenge requires participants to cover a distance of 4,000Kms in South African outback in their respective cars. Covering this distance will take around 8 to 10 days that will also allow SolarMobil to test their vehicle's maximum limit. SERVe has been equipped with a high capacity batterypack that enables the vehicle to run up to 300-350 kms on a single charge cycle. However, this range can be further increased, provided the vehicle gets additional solar charging assistance. Participants from across the globe will partake in this international race event. That said, SolarMobil is confident that their solar vehicle, SERVe, has what it takes to outperform other solar vehicles. SERVe cost the team about $50,000, which is 30 times cheaper than the average cost of other participating vehicles. This makes the vehicle a very frugal offering. A low cost vehicle that can run on solar energy makes SERVe a viable option, which has lead renowned names like Tata Power Solar, Element14, Agni Motors, KEI, Kelly Controls, Altair Hyperworks etc. to support the team's quest. But that's just for the development stage, and the project will need lot of investment once it gets to the commercialisation phase. The futuristic approach of SolarMobil led them to come up with a pioneering idea that could bring a revolution in the global automotive industry. Automakers are also continually coming up with electric and hybrid vehicles, though they aren't as popular in India due to the lack of proper infrastructure and their high price. Solar vehicles, on the other hand, involve low manufacturing costs and run on solar energy, that gives them an edge over expensive all electric and hybrid vehicles. However, the future of both these type of vehicles remains to be seen.